The PTO Book Fair will take place at our school next week. Trimester 1 report cards will be available Monday on Skyward. Book orders are due Monday December 7th. Gingerbread house money ($3) is due on Thursday, December 10th. K-5th grade Christmas Concert is next Thursday, December 10th at 2:00pm & 6:30pm. (4K concert is on the 17th).The book fair will be open during those times. Feel free to come! playing with "snow" in the sensory table. It's white rice and glitter. 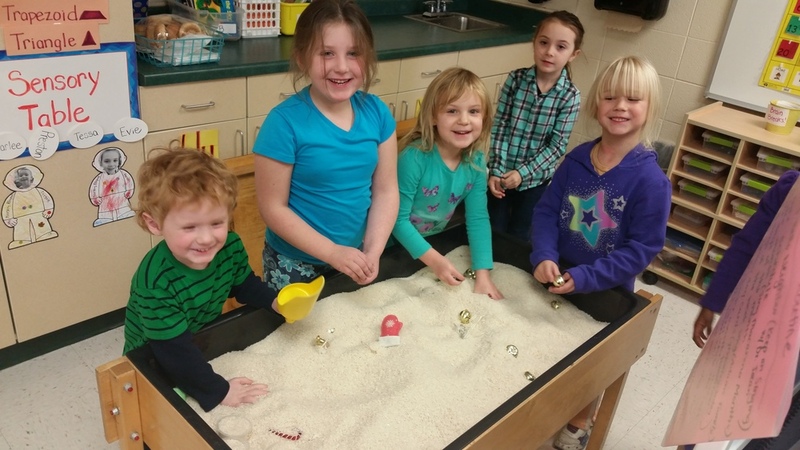 Students dig for the ornaments.